Mercy Anuoluwapo Aigbe, 29, is one of the new regular faces in Nollywood, especially in the Yoruba language films genre. The lady from Isi, Benin... City, Edo State, is a product of The Polytechnic, Ibadan and University of Lagos, where she bagged OND in accounting and a degree in Creative Arts, respectively. Since 2005,when she featured in a soap opera, Images. The rise in her profile as an actress has been remarkable. ALLEN OLAJUWON gets close and discusses her career, prospects and opinion about Nollywood. Excerpt. 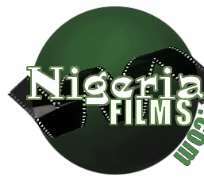 Most of your colleagues in the Yoruba language movie sector are also into movie production, does that mean sticking to acting is not financially rewarding? To so some extent yes. But it still pays my bills. But then it is the other way round in the Igbo language movie sector? But we don't understand Indian language yet we watch their films. Is it because they are well subtitled in English? Yes. You have to agree with me that Bollywood, as the Indian movie industry is called ,has been around for a longer while. The problem there is that most of the time, our films are not properly subtitled. Some of them are full of typographical errors. I am very optimistic that things will change very soon. As a producer how many films have you produced so far? I have done one titled, Abimbola, which was released three weeks ago. I am also working on another one currently. What was your parents' reaction to your choice of the acting career? My father was totally against it. What do you think is responsible for his action? It is generally believed that actresses do not make good wives. There is also the assumption that they don't make good homes; and all the rest. But these are not true. But are these notions not based on facts? (She cuts in) But most of those broken homes are caused by you journalists! There are many false stories that are published by you media men which have damaged many homes. But if journalists did not see those things they would not have published the stories? Hmn! To some extent I agree with you. The lifestyle of some of my colleagues are nothing to write home about. They have forgotten that they are role models. That is the much I accept hence my suggestion that they should be very careful of what they do. Why do you think actresses may not make good wives? Well, everything one does in life, he or she must be prepared for it and be prayerful too. It is written in the Bible that woman should be submissive to her husband. Marriage is not something you just dabble into, you must be prepared for it. No matter who you are or what you have achieved before you meet your husband the moment you become 'Mrs Somebody,' you must be ready to obey your husband to live a happy married live. There is no marriage that does not have its ups and downs. You now agree that journalists are not who you think they are? But then you guys should soft pedal on us. Some of your colleagues drink and smoke even in public. Which of them do you do? Yes, because, I don't like any of those habits. They are not part of me, but I am not against those who do them. If they are comfortable with it they should go ahead. It is a free world. But they should not throw caution to the wind. Does your upbringing have anything to do with this? Yes. I am from a Christian home, and my father is a very strict person. He does not allow us to misbehave even up till now. So we do everything according to the faith. And that has really helped my career. Have you ever had any cause to regret being an actress? No. I enjoy doing what I am doing. The Bible says the talent of a man would make a way for him. And that is exactly what is happening to me. And I enjoy it. What is your view about the movie industry? We really need to sanitise the industry. There are too many movies released weekly. It is very annoying that people who don't have anything to do in the industry are producing movies. It has become anything goes in as much as you have money you can produce. Even a carpenter can produce a film in as much as he or she has the money. This is not good for the industry. Being a celebrity, has that denied you anything? Yes, it has taken away my privacy. There are places you can not go. And if you must go, you have to disguise. The area boys will not give you rest of mind. They would want to get a piece of the action. What is your major ambition in life ? To be the very best. I am working hard, and with God on my side, I want to become an actress of international repute. I am also working hard to protect the name of my father. So that he will never regret allowing me have my way to practice my art. Who is the toughest director you have ever worked with? I have worked with several talented movie directors. But out of all the directors, the toughest are Abey Lanre and Antar Laniyan. Even before I worked with them, I have heard about them that they are very strict. When they are on set they mean business. Eventually, it was a wonderful experience. Sola Sobowale and Patience Ozokwor. I respect some of my colleagues as well - the likes of Funke Akindele, Foluke Daramola and others. And from the bottom of my hearth I hold Aunty Joke Silva in high esteem. Are you engaged or searching? I don't want to reveal his identity for now. When the time comes you will know him. For how long have you been going out? So how soon are we expecting the wedding invitation? Everything is in God's hand. At the appropriate time, we shall tell the whole world.